I happened to be visiting my family during the time the project had its opening and it was really nice to be there as the project was launched. 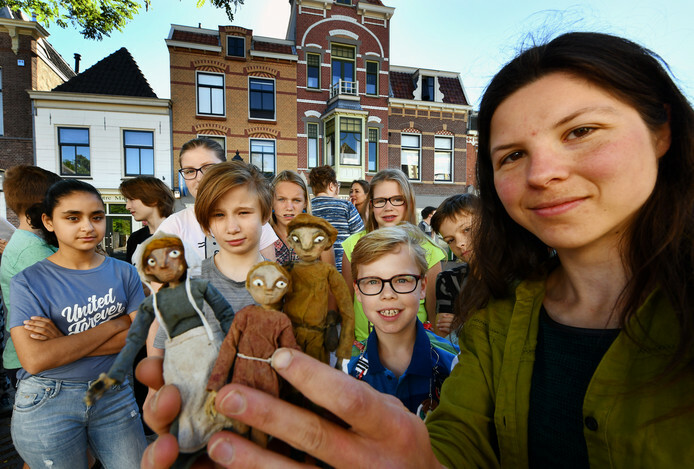 Me with the puppets of the film ‘Nieuwstad’ in the neighbourhood of Nieuwstad in the town Culemborg and primary school children taking part in the historic walk through their hometown. Press photo by William Hoogteyling. The video is part of a historical walk for primary school children. On different locations there are special poles with a QR code. The children can scan the code with their smartphone to watch the clip about that specific location. 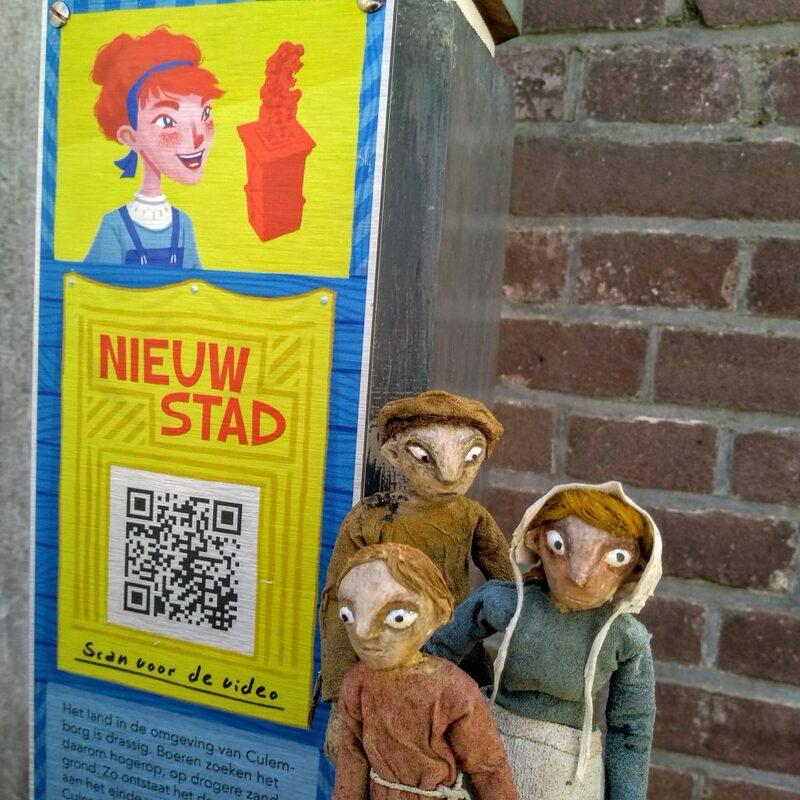 The puppets posing at the QR pole in Nieuwstad, Culemborg, that links to the online video as part of the project. The video is now online on my website and Vimeo and can be found here. A Dutch press article about the project can be found here.